this past week a victory was declared for the detroit water fight. i got tears in my eyes, i got excited. honey we need some victories. but i also got concerned and started digging a bit because the groups i have known to be working on this (the people’s water board, michigan welfare rights and others) were not mentioned, or posting the good news. as i have focused more on my writing, i have defaulted to the late sister-warrior charity hicks regarding most things about the water issues in detroit. in her absence, i have started tuning into some of my other favorite detroit minds. will copeland, shane bernardo, shea howell, bill wylie-kellerman and tawana petty have all been saying brilliant things about what is happening and why the ‘victory’ of emergency manager kevin orr handing control of detroit’s water over to mayor mike duggan is actually not quite the success that is being claimed. shane reminded me, for context, that this is all connected “to emergency management and the bankruptcy. in short, this is not a singular instance or issue but one in a protracted and carefully thought out scheme based on predatory economics.” yes sir. so, i wanted to share some of their clarifying, inspiring and informative words. 1. more than half the water department budget goes to banks to pay debt..
2. a small number of corporations owe as much as nearly half the city and they are not aggressively assaulted. And then the blue sky cracked open and it was obvious, too late, that we were in and of the Sun, we’d been worshipping a hole in a great fabric, we were ash, breathing. Author AdriennePosted on July 29, 2014 Categories UncategorizedTags #writingscifi, apocalypse, flash fiction, perspective, science fictionLeave a comment on one sentence sci-fi story. my friend charity died on july 8. she’d spent more than a month in a coma after a hit and run accident in ny. since she was hit i have been in a grief process, been of a community in a grief process. i visited her in the hospital, where a split happened. part of me knew, seeing her on full life support, that she was not there and would not be back. another part of me felt numb, hungry, thirsty. another part bucked up with an obstinate hope, because something was filling up the room, and it felt like an aspect of her, and she was a genius and if anyone could figure this out she could. i imagined her telling stories about it. i have been sitting with the complications of knowing her, the mysteries, the struggles, the differences, the unfinished conversations, the respect of her spirit, the awe of her mind. where do these big things fit between two people trying to do a piece of work together, through the daily tasks of justice, each one so small? another 44-year-old woman i’d known briefly in california also passed, of whatever natural cause can kill a brilliant woman of color leader in her prime, priya haji. she’d offered me important guidance once when i was just starting my short and intense path as a non-profit leader. she saw that i was called to other things and told me to do what i could, but not to waste time. the day before charity’s funeral i flew home from a mindblowing, generative and romantic trip with my sweetheart in amsterdam. while i was in the air, another flight that had left from amsterdam was shot out of the sky on the russia-ukraine border, leaving no survivors. a third of the passengers were heading to an aids conference in australia. i am thinking about how our movements are precious, how we can’t afford these losses. and how we can’t do anything in response but keep stepping up, seeing leaders everywhere and in each mirror. throughout charity’s funeral, and in this moment, there are wars being waged. these are generally purposeless, endless, violent, rule-less, ruthless wars. these are mostly wars about borders that spill over whatever boundaries we determine to be humane when setting out to kill and conquer each other. the loudest in my world is the continued colonial war against the people of palestine, happening at genocidal pitch in gaza. after charity’s funeral, i watched a video of a father named eric, murdered in the crook of a police officer’s elbow. all of this is simultaneous, and the frequency is increasing, or we are simply more immediately aware of the crises. i say this as a person with a life full of miracles, laughter, creativity and love: it is overwhelming to be alive with all of this violent, sudden and constant cause for grief, most of it extracted from the brownest bodies and communities under the dispassionate sun. at charity’s funeral i wept, i screamed, i sang. i averted my eyes from her person, on display – i had seen her far enough on, i didn’t need to see her absence. i believe she is gone. afterwards i went to a wedding as a dear friend’s date. she was taking a break from sitting at a beloved family member’s hospital bed. we’d planned to go before the funeral was scheduled. we kept the plan because we needed some black joy. i witnessed two beautiful black strangers dedicate their hearts to each other with their families watching, praying, dancing. i danced with them, i needed to feel like i was a pure body. they committed til death do them part. i have been reflecting on how falling in love is, among other things, committing to future grief. the more you know someone, love them, share life with them, the more you also carve out the space for future grief. i have been falling more and more in love lately, even with this awareness. i know it is worth it, to find a woman i connect with in ways that make me long to be my best self, to gift her my attention. love is what i am most certain we are here to do. sometimes it is the only clear thing to me. i still want love to be the thing i am best at, even if i fail at all else. the evening of charity’s funeral there was a beautiful celebration, ‘i do mind dying’. i was reminded that detroit is overly familiar with grief, and has a capacity to erupt into grief-stricken celebration that i have only seen before in new orleans. when david blair died, we artists and activists who loved him marched around the cass corridor singing and chanting while a police precinct erupted in flames where we passed, which felt like his kiss blowing to us. the night we let charity’s body go, we screamed and sang and a marching band led us out under projections of ‘wage love’ and ‘water is a human right’. it felt like charity was there in the crowd, i kept thinking i saw her just moving through the people, laughing and smiling and pushing us further, louder. a day later i came to minnesota, thinking i would bury myself in the sweetness of my nephew and nieces and not think about endings too much. and, of course, the main topics they have been interested in are grief, death, extinction, how we let people go. my sister and brother-in-law told me that last week finn was weeping over extinct animals and death. they said at one point he grabbed the edge of the table and cried, what is the point of all of this? why are we here? he is five. i am wrestling with the same questions with 30 more years of experience and no clearer answers. they told him simply that those are the big questions. his primary text for life is a pretty incredible nature show called wildkratts, in which two brothers and their entourage explore the natural world by taking on creature powers to learn about each animal’s unique gifts. recently wildkratts did two shows where they traveled back in time to see now-extinct creatures, both to educate themselves and us about said creatures, and to raise a desire in young viewers to see all animals, especially endangered ones, as precious. in both episodes, towards the end, one of the brothers tries to bring the extinct creature (first a dodo, then a tasmanian tiger) back to the present. they decide not to, adhering to some unnamed logic of time travel. and afterwards, finn wails: why can’t we save them? why can’t i meet them? he is truly heartbroken, feeling everything, a leo with a new moon coming right at him. he may be finding his life’s work through this grief. two days ago siobhan found a dead dragonfly in the driveway, a big one. there are so many dead things in nature, it helps to see how normal it is, even beautiful. you get to bloom, be beautiful, be a visible distinct part of an ecosystem, and then become one with it. i am excited to see how being raised here will shape the babies’ relationships to mortality. siobhan called the other kids over and they did a little ceremony and buried the dragonfly. finn explained that this is what happens when we die, people cover us up. mairead tossed dirt on the dragonfly, then grabbed it out of it’s little grave and tried to throw it in the air to fly again. i cheered for her instincts. the other two explained that dead things don’t fly, and buried it again. mairead didn’t buy it, we finally had to just lead her away. the first stage of grief is denial. siobhan is obsessed with death right now too. yesterday she told me her baby doll was dead, that she was so sad that she was going to have to burn her baby up and put her in the sky. her great grandfather was cremated this year. i wonder if she can feel the suffering of little ones her age and younger happening right now around the world. i also wonder if she is a prophet or conduit. two other reminders of how unavoidable grief and death are showed up during this visit. a friend-family came to visit, with their kids. at one point their daughter was saying something about how her grandpa should bring pizza pies to her dad’s funeral. and her dad responded, i want tequila and dancing at my funeral, ok honey? it was cute and i also logged it because i want to know how everyone i love wants to be remembered, celebrated, burned, buried, released. because it is happening, all the time, and we should know these things about each other. and i felt that sliver of bitterness again, looking around this table full of loved ones who are going to die, as i am going to die. i am holding the babies too close and eating too much trying to just feel this singular truth in a new way. i have moved through grief before, i have reached places of peace and even liberation around it. but now i am like a child again, distraught, incredulous. it helps to look at the pond, to wake up early and listen to life in the woods. two nights ago there was a performance outside at a local college. a singer named robert robinson came up from minneapolis, a black disabled gospel operatic tenor with a queer beautiful energy and way with the mostly white crowd. after one song, he shared that just before he’d come onstage he’d received a text that a good friend had lost her battle with stage four cancer. he then sang ‘i hope you dance’ and ‘tears in heaven’, with that loss in his pretty voice. and again i was crying in public, singing through tears, raising my hands to offer my gratitude to this stranger who knew my heart’s need in that moment. he also sang songs about how god has never failed him yet, and aretha’s arrangement of bridge over troubled waters, and i just let his voice work me. and i am left with the fact that grief is not linear. i can still tap into the tender wound for each person i have lost, from charity to my grandfather to a boy i had a crush on in middle school who was killed by another boy playing with a gun. i have personal ancestors, not as many as some, more than i’d want. i feel them learning how to be elsewhere, i feel them still connected to me. i am not generally a futbol (or any other kind of sports) watcher. i read and saw a lot about the racial and class dynamics of the world cup, and what brazil did to ‘clean up’ for FIFA. a lot of those dynamics, which follow athletic competition around the world and show up most prominently in world cup and olympics years, reminded me why i can’t deeply engage in sports as a regular outlet. it is so oriented around competitive and capitalist indulgence, uplifting heroes and gathering faceless erasable masses to cheer them on. but i am beginning to suspect that nothing operates outside the realm of emergent strategy. being in amsterdam, it made a lot of sense to watch the world cup. it was part of being immersed in this place, sitting at coffeshops and watching the game with an international spread of locals. i didn’t have a particular team i was rooting for, and really only engaged around the quarter finals. but once i got hooked i couldn’t stop watching. and rather than rooting for particular teams or players, i was fascinated by the patterns and rhythms, the art of the game. so i want to offer some analysis from my non-expert vantage point. lynnee and i were watching the semi-final match when germany scored seven points on brazil, most of those points within an 18-minute free for all in the first half. it was brutal to see. i had the humbling opportunity, during my dad’s last assignment in germany, to be a fairly useless part of my high school soccer team. we were invited to play a friendly international match against a team of german third graders. they scored like 30 goals on us while barely seeming to move or break a sweat. over and over they took the ball away while we ran in circles, gasped for air and tried not to cry. i didn’t understand why brazil looked like my high school team. in the semi-finals of the world cup! i needed it explained to me. i was reaching out to people, because the commentary was in dutch and i needed to know where the gorgeous warrior dancing magicians i’d witnessed in the quarter-final against colombia had disappeared to. my sister autumn reminded me that in that very breathtaking match, neymar was injured, and silva was carded. she broke down how much neymar and silva were the center-captain-irreplaceable aspects of offense and defense, respectively. the night before last, lynnee and i were in rotterdam at an incredible outkast 20-year anniversary show at the north sea jazz festival. and we snuck out to sit on the floor with a bunch of mostly germans and watch the end of the world cup. we caught the only goal of the final match as germany bested argentina. it occurred to me, first as i found myself hoping for a mercy ruling in the brazil-germany match, and then again while watching germany seem to easily work together to defend and score on argentina in the final, that this was a perfect example of emergent strategy in action. emergent strategy includes being intentional, which, at a basic level, i think all of the teams were. they each intended to win number one, period. but it also includes being intentional even in a fractal sense, at the smallest level. watching the way germany had one to two people in pursuit of the ball even when the opposing goalie was trying to figure out where to kick it, there was a hungry focus on possession of the ball that presenced their intention to win in even the smallest moments. emergent strategy includes being resilient through decentralization. brazil’s team was oriented around key stars who embody certain skill sets. when those players are in and on, it is the most beautiful playing i have ever seen. for germany’s team, even after watching them play several games, i couldn’t point out anyone irreplaceable on their team, any superstars or best players. based on my limited viewing, they seemed to easily interchange players and fluidly move together to defend their goal – not as dazzling, but consistent, effective, beautiful in its collectivity. emergent strategy is adaptive and interdependent. when neymar and silva were taken out, brazil didn’t have the capacity or depth on their team to adapt. the lack of cohesion from their team felt loud. germany moved like a flock of birds over and around the field. they worked as one body to take possession of the ball and move it. any time brazil or argentina got the ball, germany suddenly had four players around them. 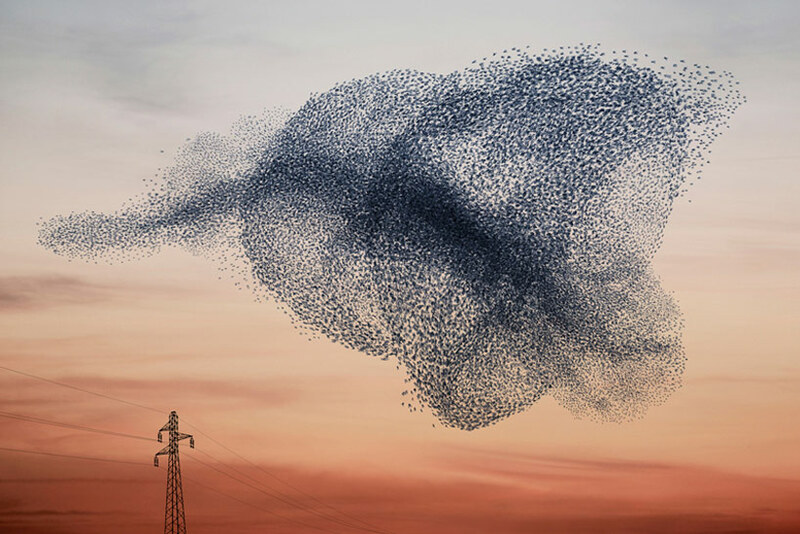 it didn’t feel like a formation, it felt like interdependent murmuration towards a shared intention – they flew towards the ball. the sheer number of team members attending to the ball at any given point meant that germany was consistently creating more possibilities for itself to have the ball, to have choice over what happened next, to get the chance to score. one other element was transformative justice, which i didn’t see much of in the finals. i saw glimpses of it in algeria’s decision to give their world cup winnings to gaza. not because of the charitable aspect, but because of the use of their platform to raise awareness of the genocide happening in gaza while the world gave it’s attention to a game. there is more to emergent strategy of course. just as there is so so much more to the world cup – contradictions, hypocrisies, tragedies, elations. what did you see? Our dear Charity Hicks joined the ancestors on July 8, 2014. She had recently directed her community in Detroit to “wage love” as a strategy in our fight for justice and equity. Her mantra was her love for her people and consistently bringing in the voice of those who were marginalized. As we prepare for her homegoing services let us reflect on her rich legacy of passion, knowledge, vibrancy, sharing, commitment, mentorship, persistence, giving, wisdom, advocacy, and deep pride of African heritage and culture. We are all Blessed by her God given gifts. The global beloved community she cherished is collectively charged with continuing her extensive, unmatchable, intellectually brilliant, work that reached out lovingly to people world wide. i write this with tears in my eyes – i just heard that you’re gone, at least in the way i know you. black beautiful soft round tall beaming you. i want one of your hugs. i have a hard time believing your body could not recover. i knew it was impossible, i knew it. i thought of you as a cosmic ancient superhero. when we worked together, i found myself trying to keep up with your mind, trying to stand with you in massive emotions. your mind moved faster, drew easily on more data, connected everything together. and the connections you made filled you with rage, with sadness, with incredulity…and with such tenderness. the way you would take my niece’s face into your hands, the way you would hug people in greeting, the way you would listen to a curious young visitor to detroit and then affirm her curiosity by blowing her mind out with an explosion of stories and facts. you brought to the world equal parts tenderness and fire. and no one could bring fire quite like you. we had our different approaches. i wanted you to focus, you wanted me to ignite. the place we found each other over and over in our work together was love – for family, for Detroit, for justice, for our own bodies, for the ways spirit was moving through us and our lives, for new ways of grasping the universe, for our own potential. i loved our kitchen table talks. i wish we could have more of them. and what will Detroit do without you? for the years we worked together i watched you with amazement and worry, as you tirelessly attended one meeting after another on the unreliable bus system of Detroit, carrying a mental map of issues and people and histories, bags full of documentation and computers and flyers, a hundred keys to the universe hooked to your top. i remember meetings where you stood up and demanded that we all get naked, say what we really meant, say what we were going to do. you were daunting, generative, wholistic, healer, soldier. if there was a right action you would take it first. you embodied a commitment to justice. i didn’t always understand your fire, love. you were a friend and a mystery, deeply rooted and incredibly complicated. Detroit needs your fire now, your kind of thorough love, compounded, burning out of control. the world does. you led with your love, water warrior earth goddess in motherland cloth armor. you have always been larger than life. when i last saw you, i felt awe. even as you were in the between place, your vibration filled the room. i hope you heard and felt all of the love that was flowing towards you, from me, from Detroit, from all of the people you touched. i need you charity. you inspire me. simultaneously, i hold on in disbelief, and i let go wishing you only ease and rest and goodness on your journey. keep an eye on us, on Detroit, send us some divine sacred fire for the work and the change that is coming. i landed in amsterdam monday morning, and i have been biking every single day, miles and miles. it is the primary mode of transportation. it has made me tender, and it has made me feel very strong and accomplished. it is a healing experience to get places with my body, to feel the pain of body use, and feel it subside, normalize. i have been experimenting with strategies to make it work, and the best approach is so obvious: slow down. everyone here appears to bike with such ease and confidence, while i struggle to get my machine in motion, stay balanced, not collide, discover the best angle for my delicate body with the machine. and it goes better if i take my time, stop and walk up hills that daunt my knees, and take in the gorgeousness around me. and i feel myself getting stronger every day. biking is another confidence worth developing, more and more of my travel is in places where bikes replace cars much of the year. The Darkness is an all-black steed like i have at home, heavy in front with a massive basket, reverse peddle brakes. she stands a couple inches longer than my legs. i have had two unremarkable falls. both times i have watched my embarrassment with amusement, receiving the help of others. last night was the best ride so far. on our way to and from a place that ended up being a non-destination, we found ourselves on a road where every floor had a wrought iron balcony, little minarets edging rounded towers, shades of periwinkle and lavendar, navy blue doors, red window frames, little orange futball flags strung out like world cup christmas lights. the end of the day here, from around eight til ten, is the time of perfect light, slow sunsets and magic cloud formations. we time our days so that we are on our last ferry as the light goes, on our way to a quiet place across the water from centraal station. it is time to ride now.